In my opinion there are a few factors, other than delicious baked treats and good customer service, that create a successful bakery: location, daily specials, new menu items, and excellent social media skills. Apparently La Cakerie agrees because they meet each item on the list and it has already made me a frequent visitor. If their location was any closer, I’d probably end up stopping in every other day (if not every day). I’m sure my waistline is thankful for that. On our first visit to La Cakerie we were lucky enough to leave with a variety of flavors like Vanilla, Chocolate Fudge, Chocolate Turtle, Chocolate Vanilla, Vanilla Chocolate, and Chocolate Peppermint. My overall impression of La Cakerie’s cupcakes was that they have the perfect balance of being not too sweet, but not too buttery. Jason, the owner and executive chef, has really found the perfect balance. Going into the tasting I was worried that these cupcakes would taste exactly like Flavor Cupcakery’s, since Jason previously worked there and some of the cupcakes had the same look, but he really has developed his own unique flavor. One surprising thing I noticed about the cupcakes was that the vanilla cake was much more dense than I’m used to, while the chocolate cake was light and fluffy. Normally I’m a light and fluffy cake person, so at first this was a bit disappointing, however, after multiple visits I’m starting to appreciate their moist dense cake. La Cakerie’s vanilla cake also has a unique nutty taste to it, almost almond-like, which I really enjoy. 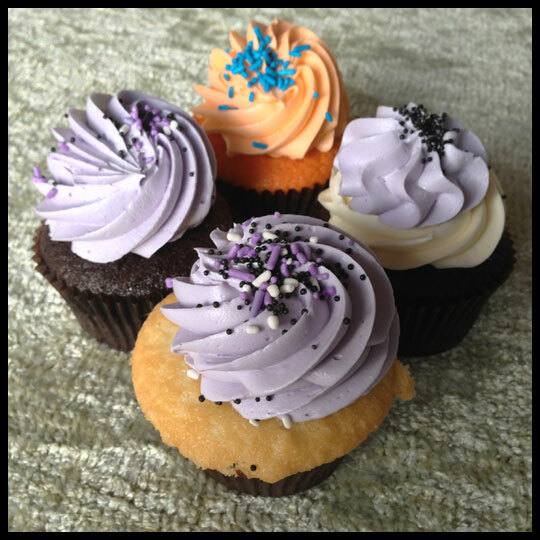 Since we’ve tried so many of La Cakerie’s cupcakes, for today’s review we are focusing on our favorites, as well as their special New Year’s cupcakes, their NFL Ravens playoff cupcakes, and one of their savory cupcakes. 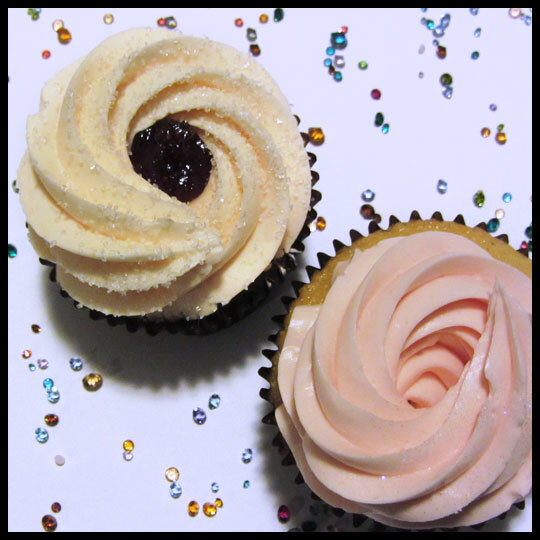 PB&J cupcakes have become one of my all-time favorites. There’s something about the nostalgic flavors that have me constantly going back for more. 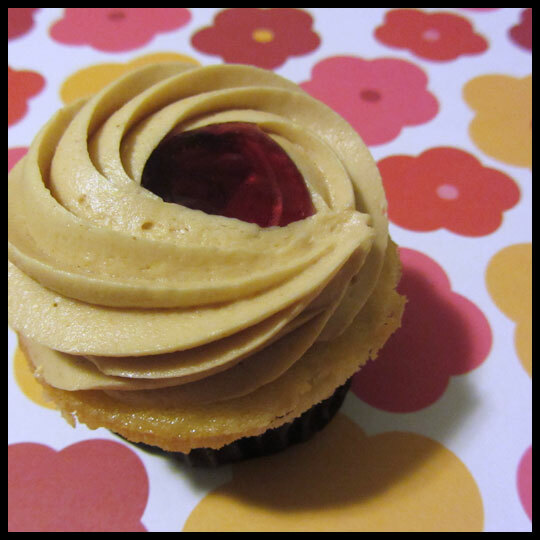 La Cakerie’s PB&J cupcake completely met my expectations. At first I thought the cake was too dense for my liking, but the peanut butter frosting was so light and smooth that it had me thinking two words: frosting shots. I would be perfectly happy downing tubs of this peanut butter heaven. The Chocolate Peppermint was Crusader Elisa’s favorite. She said, “Fantastic chocolate cake, moist, flavorful, not too sweet and just the right density. The peppermint frosting was also super smooth. It tasted like the holidays!” Crusader Jenn was surprised at how light the frosting was, and I think that it might possibly be the best peppermint frosting I’ve ever had. 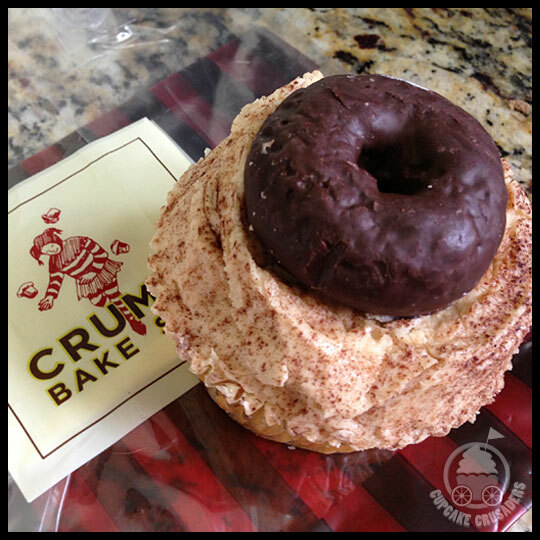 Since this cupcake is Jason’s favorite, we decided we had to give our thoughts on it too. Like the PB&J, the frosting was to-die-for. Jenn thought this cupcake was more rich than the Chocolate Fudge, with the chocolate and peanut butter combination, including a chocolate ganache filling, which I loved. We can definitely see why this could be anyone’s favorite. After our first tasting I knew eventually I’d be going back for, but I had no idea how soon. When I saw that they were offering Strawberry Martini and Cosmo cupcakes on New Year’s Eve, I couldn’t deny myself. You may remember my not-so-successful Cosmo Cupcake experiment, so let me just say that Jason’s version blows mine out of the water. This cupcake had a TON of tasty filling, working well with the dense cake. The Strawberry Martini was good, but the star of the night was the Cosmo cupcake. While there, I decided that having one of their egg and cheese breakfast pastries would be much better than making breakfast myself on New Year’s Day. 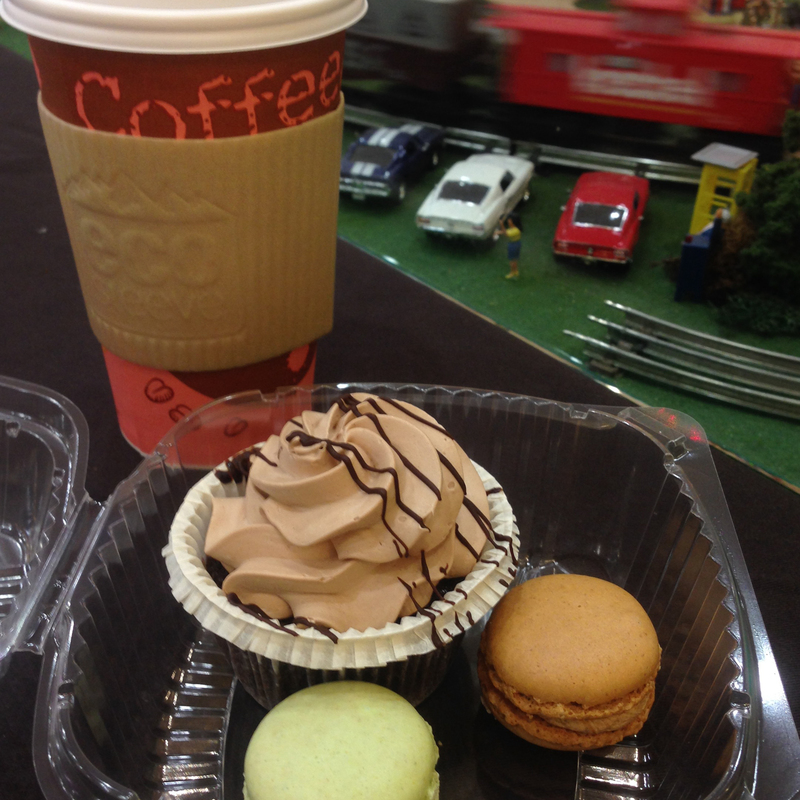 This was the first of La Cakerie’s savory treats I tried, and its buttery richness really did hit the spot. Elisa tried a bacon and egg pastry, as well as a sausage and egg one, and had nothing but good things to say. Just when I thought I would finally be able to start my post-holiday healthy eating, the Ravens made it to the playoffs against the Denver Broncos. This brought purple cupcakes to most Baltimore and Maryland based bakeries, and I found myself back at La Cakerie less than two weeks after my previous visit. La Cakerie even added a “Bye Bye Broncos” creamsicle cupcake that was SO GOOD. Growing up I was never a big fan of the orange popsicles with their vanilla ice cream center, and I still don’t love them, but turn it into a cupcake and I’m so there. 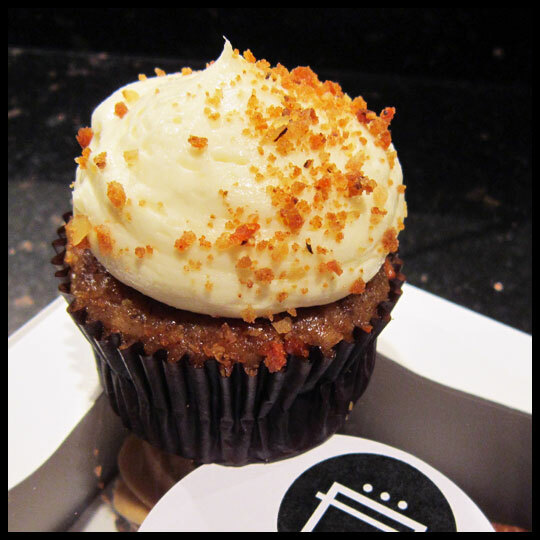 Savory cupcakes raise a ton of controversy in the cupcake world. Who knew a cupcake could spark so much debate? We take our promise not to “rest until we’ve tried them all” very seriously, and if I can have any excuse to eat a cupcake for breakfast, lunch, or dinner, I’ll take it. 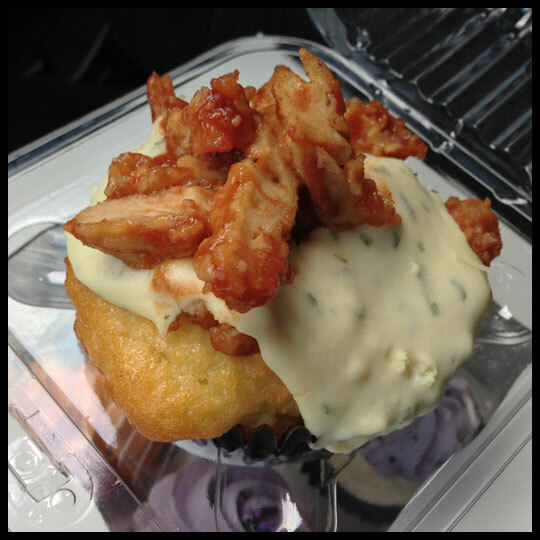 This cupcake isn’t your typical cupcake, rather it is a corn based cake with a cheesy mashed potato “frosting” which is filled and topped with BBQ chicken. You may think that a corn based cake would be more muffin-like, but surprisingly this cake was actually very cake-like with just a touch of sweetness. My favorite bites of this cupcake were when all the components were blended together. Just make sure you heat it up before eating! I think that if La Cakerie continues to offer a wide range of baked goods and actively promote themselves via social media, they will have no problem keeping their customers happy and reaching any goals they have for the future. 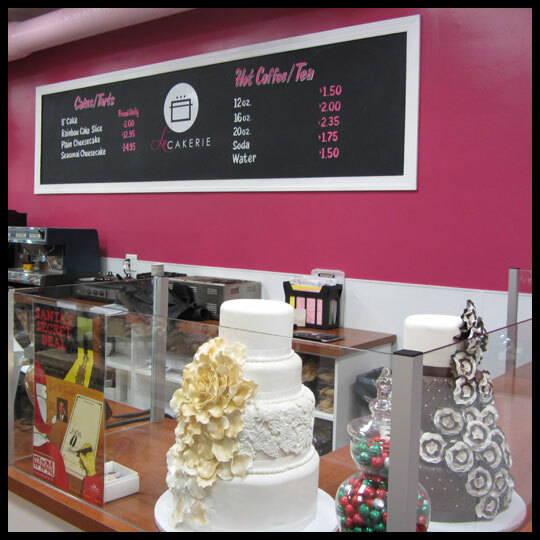 When you first walk into Towson’s new bakery, La Cakerie, you are greeted by hot pink walls, impressive cake displays, and a friendly staff. The few times I’ve been there, Jason Hisley, the owner and executive chef, has personally been there, offering up a huge smile backed by tons of enthusiasm. 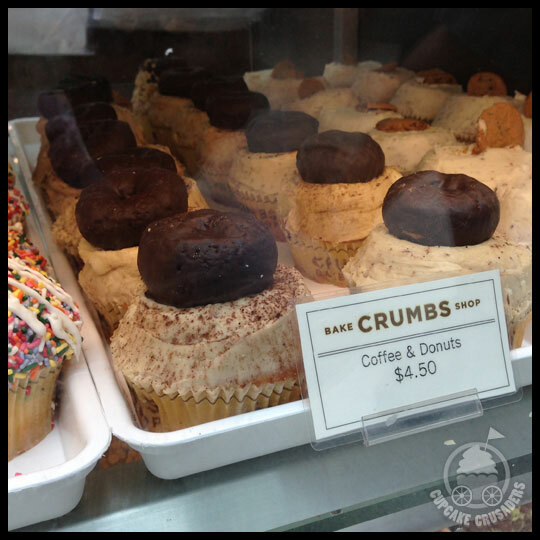 Jason’s energy is contagiousness and you can’t help but smile as you browse the cases filled with everything from cupcakes to breakfast pastries. 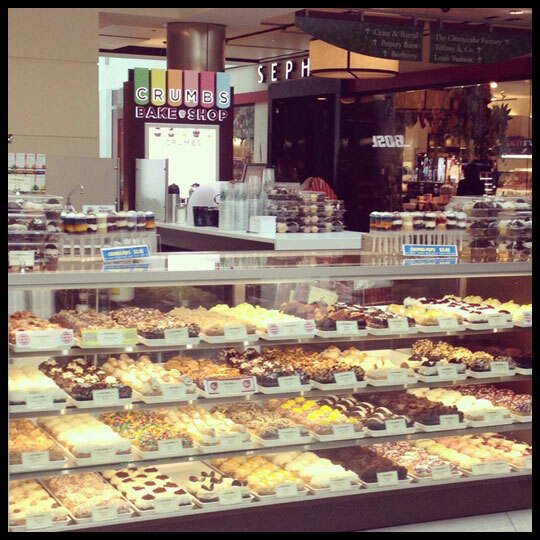 There is something for everyone at La Cakerie and you might find yourself going in for a quick pretzel dog and then leaving with a box of sweets to share with your family and friends. 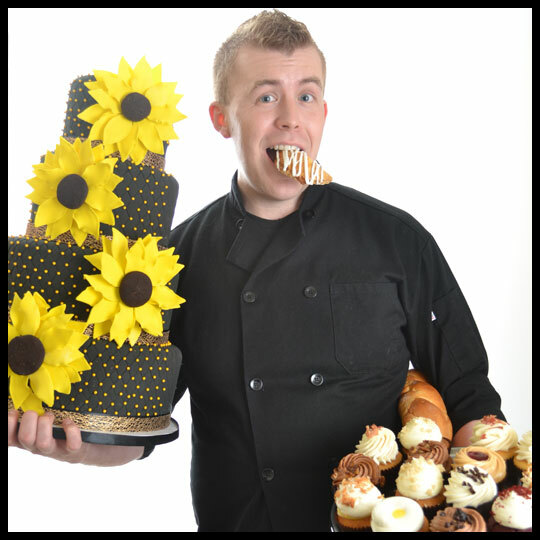 If Jason happens to be there during your visit, you may recognize him from his appearance on the Food Network’s Cupcake Wars (with Flavor Cupcakery, his previous employer) and Sweet Genius. Even with all that he has accomplished at such a young age, Jason hasn’t let it go to his head, instead he is welcoming and kind, with a larger than life personality. We were thrilled when Jason agreed to answer some of our questions to share with you all. The following gives you just a glimpse of his passion for baking. 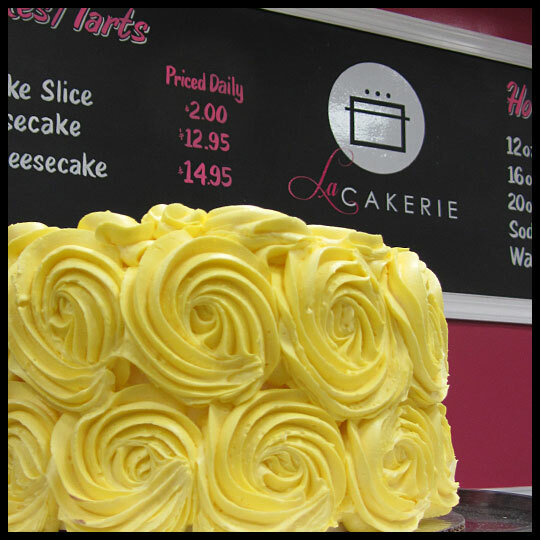 What makes La Cakerie different from other bakeries and how did you come up with the name? As a trained pastry chef in both America and Europe, I feel that what defines truly successful bakeries is their ability to combine not only unique styles of cuisine but also interesting flavors and products. 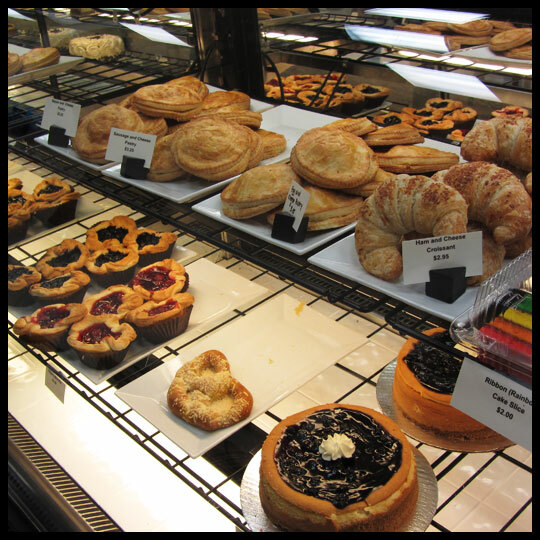 Walk into La Cakerie and you can find sweet and savory baked goods. 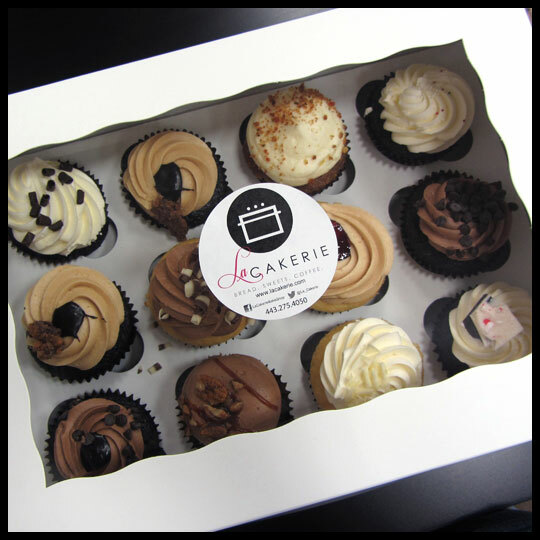 Whether it’s our gourmet cupcake line, savory breakfast pastries, phenomenal lunch options, or even custom orders and party/wedding cakes, La Cakerie caters to all. The name La Cakerie grew from “Cakerie” playing off my passion for an artisan, elegant and refined approach to cake design. The name is modern, clean and sleek. Adding the hot pink and cursive “La” speaks to our delicate approach to pastry production. 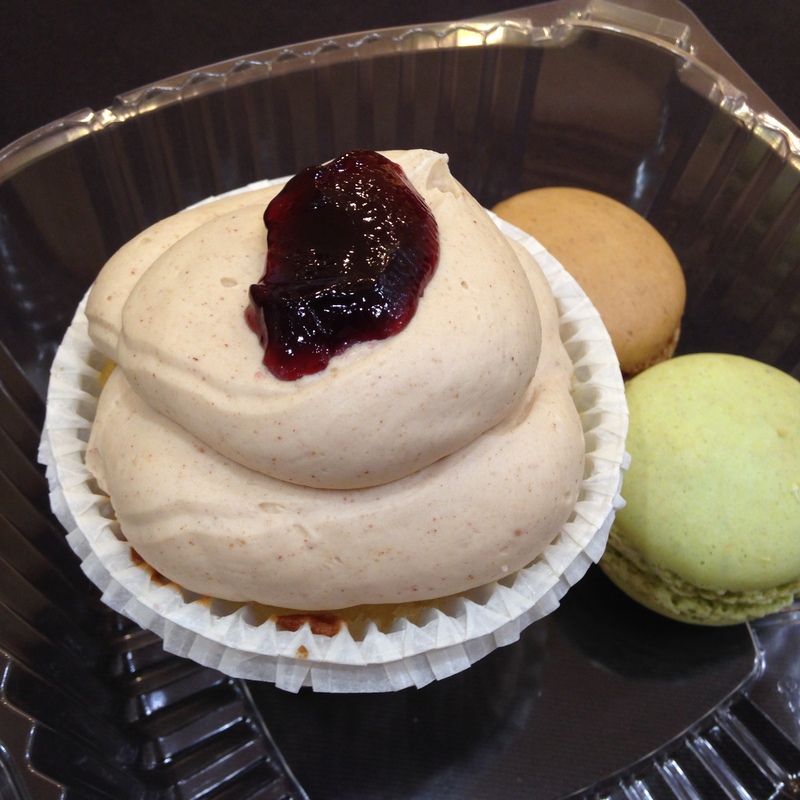 We read you will be providing vegan and gluten free treats from Sweet 27—we have been fans of them for a long time. What kinds of vegan and gluten free treats will you carry in your shop? Sweet 27 is an amazing bakery that we are working with to provide gluten free and vegan products to our clientele daily and we will definitely continue our partnership with their great bakery. However, in lieu of a recent tragedy, La Cakerie will be taking an additional approach to gluten free products. My business partner, Adam Klein, 21, was in a relationship with Cara Becker when she was diagnosed with Leukemia earlier this year. While everything was looking hopeful for a recovery, Cara ultimately passed away on December 30th 2012. The news was devastating and truly shook everyone that knew her. In her honor, La Cakerie will be launching a gluten free line with money raised to help fund cancer research (Cara was severely allergic to gluten). I have many great memories of working with Adam (who has a business major), laughing, teaching him the delicate art of pastry production as we created gluten free products for Cara. We will continue this now in her honor in hopes that our work and her legacy will shape the future. What was it like being on TWO televised dessert competitions? What were some of the similarities and differences? Competing on the Food Network twice has been the most enjoyable and stressful times of my life! As a trained pastry chef, I have learned how to produce baked goods efficiently and to the highest possible quality. With that being said, nothing prepares you for the fast paced production of Food Netowrk competitions! The time is clocking down, there are cameras and producers running every which way, and in the back of your mind that grand prize is looming! While Cupcake Wars was definitely challenging, the pure pressure of being put to the test as a pastry chef was really lived out on Sweet Genius. I made cupcakes everyday for a very long time before going on Cupcake Wars. While the ingredients and themes were unique, the vehicle was very familiar. However, with Sweet Genius, being thrown into production of candies and chocolates was very “unfamiliar territory”…and I LOVED it! Haha! Maybe I’m crazy but being put to the test is my specialty. I consider myself a modern day pastry chef with a creative edge and flair…what’s next, Food Network? I’m waiting! Will we be seeing you or La Cakerie on any future baking competitions? You bet!! This Mohawk is just dying to get back on TV and other baking competitions! Stay tuned and check out our Facebook page regularly to find out news and updates with regards to this. We read that you and the owner of Flavor Cupcakery are still friendly with one another. 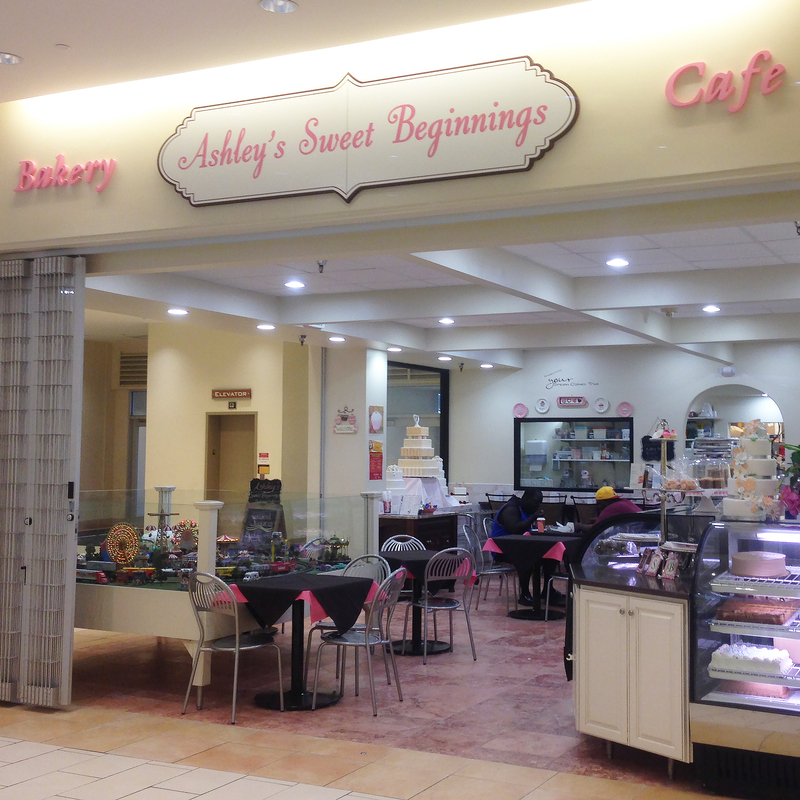 What made you decide to branch out and open your own bakery? What was it like starting that process? In branching out to open my own bakery, I truly wanted to showcase all my talents as a trained and certified pastry chef. The quality and dedication to a truly amazing product was evident everyday at my previous employer, but I also craved the ability to showcase the other amazing skill sets I have as a chef. 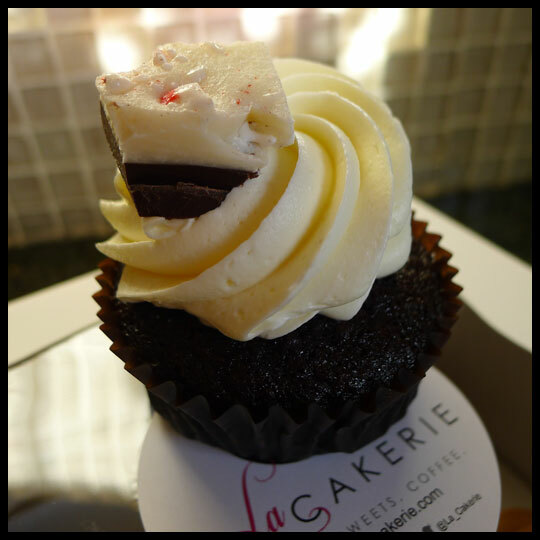 At La Cakerie, not only can you find trendy, hip and fun cupcakes, but you can also grab an amazing cup of coffee, a breakfast croissant, a hot soup in a bread bowl, or even custom created and artisan cakes. This is the world of a true baker, and everyday I am able to push the limits with my creativity and talent. How long have you been baking and what is your first baking memory? I have been baking in the kitchen ever since I was a young child. I have pictures of myself kneading dough with my Czechoslovakian grandmother before I could even reach the table standing in a chair! That was probably one of my very first memories. I would go into her refrigerator and pull out all her flavorings, extracts, spices and dried fruits and whip up an amazing concoction that could only compare to a mad scientist in his laboratory, haha! From there, my baking spirit grew from a hobby, into a passion and ultimately a career. Wow! What a tough question! Having seven years of cake design experience, I would have to pick a tool I use every single day when creating elaborate custom cakes: a hot pink Xacto knife with a fresh blade. Nothing works to cut through fondant smoothly and cleanly like a new Xacto knife. If you want decorations that are smooth, clean and perfected, this is the only way to go…don’t even think about a knife or roll cutter. And why hot pink?…why not?!? 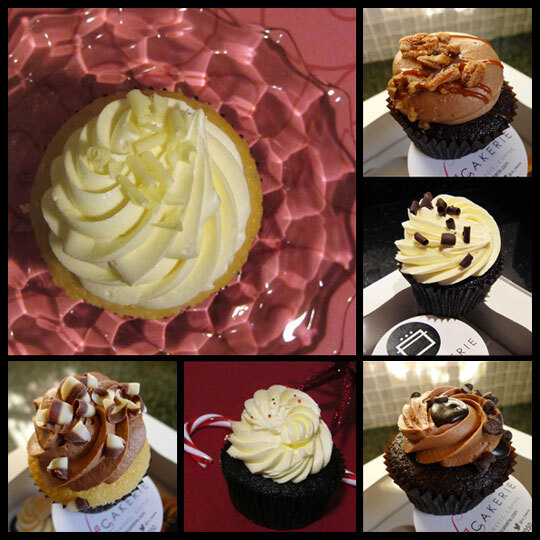 And of course we have to ask, what is your favorite cupcake flavor? Oh so many to choose from! My favorite is a true classic and top seller at La Cakerie: Peanut Butter Fudge…whoever first combined peanut butter and chocolate is a saint in my book! Our chocolate cake is stuffed with a gooey chocolate ganache and frosted with the smoothest peanut butter frosting in town! 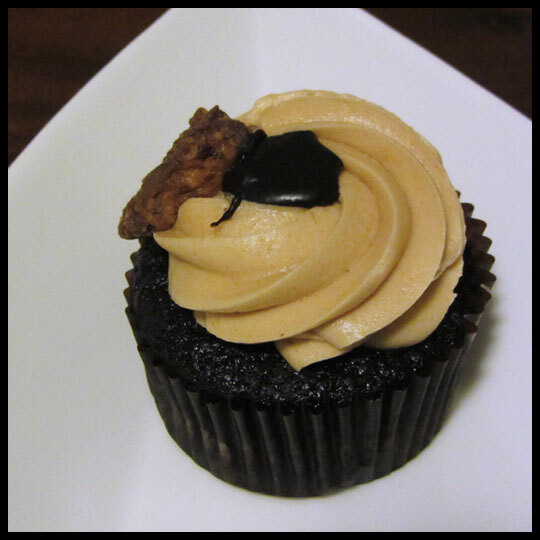 Garnishing with more chocolate ganache and peanut butter chunks is just our little cherry on the top! You are so young and have accomplished so many things already, where do you see yourself in the next 5 or 10 years? Taking a vacation! Just kidding! Haha! In life I have two major career goals: to land my own show on the Food Network and also build a bakery empire that reaches national levels. I know these goals are wild but I have pushed very hard in life to take advantage of all the opportunities presented my way and ones that I have worked towards. For the Food Network, I love the ability to teach others and would be thrilled to do so on a national level. With La Cakerie, I feel that so many people are lacking a high quality baked good in so many communities and I want to fill that void. We want to thank Jason for taking the time to answer our questions. During our first visit we left with a TON of cupcakes (courtesy of La Cakerie) and have since visited several times to show our support for this new local bakery, so check back for our review on everything from their sweet and savory cupcakes to their buttery pastries.